Jean Shin Jyutsu is a long standing form of Japanese art that is used for balancing emotions by stimulation of particular points on the hands. It encompasses an ancient Japanese mastery and philosophy which is an effective alternative medicine. The art revolves around the balancing of your body’s energy through specific points of your hands and fingers. Balanced energy is the objective and imperative for physical and emotional health. The foundation of study is established on the principle that each finger on the hand is related to a specific organ which is also related to a specific emotion. In order to interact with a specific organ, all you need to do is put pressure on your finger for 5 minutes while breathing deeply. 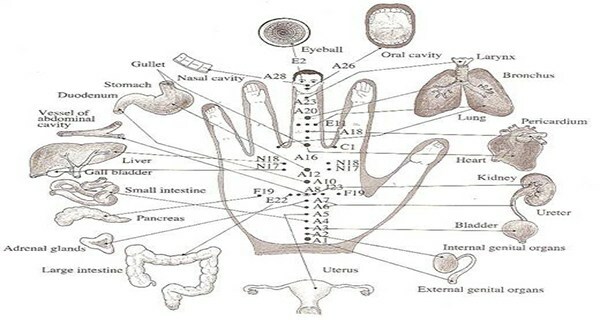 By massaging every finger on your hand, you will achieve complete harmonization within the body. For a full body exercise, train with each finger separately, about five minutes at a time. Emotions: fear, confusion and disappointment. Physical symptoms: issues with digestive system, toothache, muscle pain, back pain. Physical system: blood circulation issues, menstrual pain, decreased vision, fatigue, migraine, frontal headache. Emotions: negativity, glumness, rejection, fear, sorrow. Physical symptoms: noise in the ears, respiratory issues, asthma, skin diseases, digestion issues. Emotions: apprehensiveness, lack of self-appreciation, annoyance. Physical symptoms: heart issues, sore throat, stomach inflating, issues with bones.